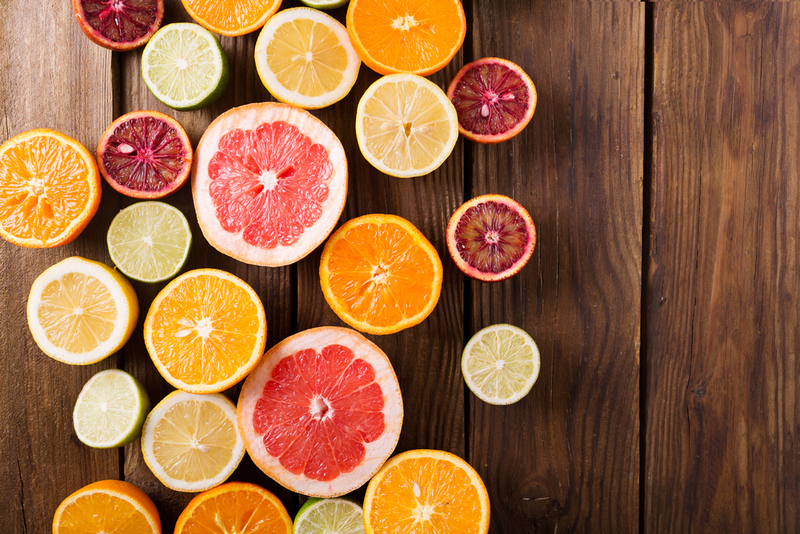 Lemons, limes, oranges and grapefruits are nutrient-dense foods, loaded with vitamins, minerals and dietary fiber. Citrus fruits are also fat-free, sodium-free and cholesterol-free. And, experts say that consuming citrus is beneficial for people vulnerable to nutrient deficiencies, obesity and diet-related chronic diseases – a group which includes many older adults. Fortunately, bumping up the amount of citrus in recipes for seniors is easy. Here are six quick and easy ideas for adding more citrus to your adult care center food menu program. Older adults are at a greater risk for dehydration, and serving up tasty drinks can help increase their fluid intake. Citrus adds great flavor and nutrition to a range of beverages – try squeezing lemon juice in tea or adding orange slices to water. Greek yogurt is packed with protein, probiotics and calcium, and many seniors enjoy eating it with granola or breakfast cereal. Why not add citrus fruit segments and make the dish even healthier? Oranges or grapefruit are perfect for parfaits. Seniors love salads, and they’re a great option for any adult care facility food menu program. Jazz up the usual senior recipes with some citrus and get a big nutrition boost. For a flavor punch, add segments to the dish, sprinkle with a bit of grated peel and dress with some juice, olive oil and seasoning. When serving veggies, you can skip the salt and butter if you grab some citrus fruits. Just squeeze fresh lemon juice over steamed green beans, broccoli or asparagus, and you’ll have all the seasoning you need. When corn’s on the food menu, try adding a dash of lime juice. Who doesn’t like salsa? Dietitian-approved senior recipes for chicken and fish often feature salsas – and a citrus version is a delicious and healthy option for your food menu program. Simply cut a grapefruit and orange into segments and coarsely chop. Stir that into a mixture of lime juice, garlic, oil, cilantro and season to taste. For an easy and nutritious citrus dessert, make a trifle. Layer chunks of angel food cake with a mixture of fat-free, sugar-free vanilla pudding, reduced-fat cream cheese, orange peel and orange juice, and you’ll have a dessert that can tempt anyone’s taste buds. Do you need cost-effective, nutritious, citrus-based recipes for seniors? The Grove Menus food menu program is an easy-to-use source of simple and tasty dietitian-approved senior recipes for nursing homes, assisted living centers and adult care facilities. With a suite of user-friendly meal planning tools, Grove Menus makes it easier to meet the dietary needs of older adults. For a free, no-pressure demonstration of how our food menu program software helps plan healthy, dietitian-approved recipes for seniors, contact us today.